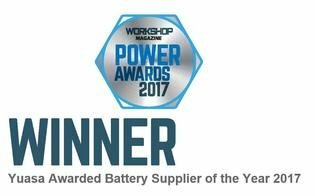 Yuasa have been awarded Battery Supplier of the Year for the second year running at the Workshop Power Awards. The world’s leading battery manufacturer picked up the prestigious trophy at a glitzy gala award ceremony at the top of Portsmouth’s Spinnaker Tower on 28 September. Rechargeable batteries have been around for awhile but they are getting more attention now than ever before. Consumers are more aware of the impact that even little things like those batteries that run kids toys and other small devices have on the planet. When you are looking to install an uninterruptible power supply one of the first to assess is the runtime time you want to build into your UPS installation. Runtime is the amount of time your UPS system will be expected to run for when the mains power fails. The amount of time relies on the choice of a suitably sized energy storage component. The battery set within your uninterruptible power supply is an energy storage device and one that provides a Direct Current (DC). The battery set may consist of one or more battery strings. If there are two or more battery strings they may have to be connected through a battery transition box via battery isolator to the UPS system DC rail. The battery string will consist of a set number of battery blocks or cells. Do You Need to Replace Your UPS Battery? A UPS will only work for you if the battery is up to date and in working condition. The Uninterrupted Power Supply system or UPS, provides protection to your computer and other systems in the event of a power surge. We are now approaching the time of year when our National Grid is stressed. Winter months mean more demand for electricity and potentially less availability of renewable resources like solar and wind farms. The sun’s radiation and availability time is less and whilst it can be windy, turbines are idled back to prevent damage from overrun With this in mind, its even more likely that your UPS system will have to kick-in and fill momentary power breaks or even longer if there is a complete mains power failure. Do You Test Your UPS Batteries? We’ve all seen the recent Volkswagen advert based on the old adage of ‘buy cheap, buy twice’ but how many data centre managers regard the batteries within their UPS systems as a parachute or safety rope? The batteries within an uninterruptible power supply are a consumable item and will require replacement during the working life of a UPS system. The standard battery used is a sealed lead acid (SLA) maintenance free battery with a design life of either five years or ten years. The actually working life of these battery design types is typically 3-4 years or 7-8 years respectively. At some time during the working life of your uninterruptible power supply it will be time to fit replacement UPS batteries. This will depend upon the design life of the batteries fitted and several other factors.